Gone are the days when Disney gave us provincially backward generalizations, glamorized in a bright and melodic package. In the 2000s, we began to see films that went far beyond the story of a princess meeting her Prince Charming and living happily ever after. We saw some extraordinary animated films that brought with them morals and lessons. Here are ten animated movies that teach us valuable life lessons. Finding Nemo is a charming movie about a little clownfish named Nemo, who gets separated from his dad. The movie, which shows an excellent father-son relationship, also teaches viewers that it’s okay to step out of your comfort zone, that you should never judge a book by its cover, and that you should be kind to everyone, among countless other lessons. 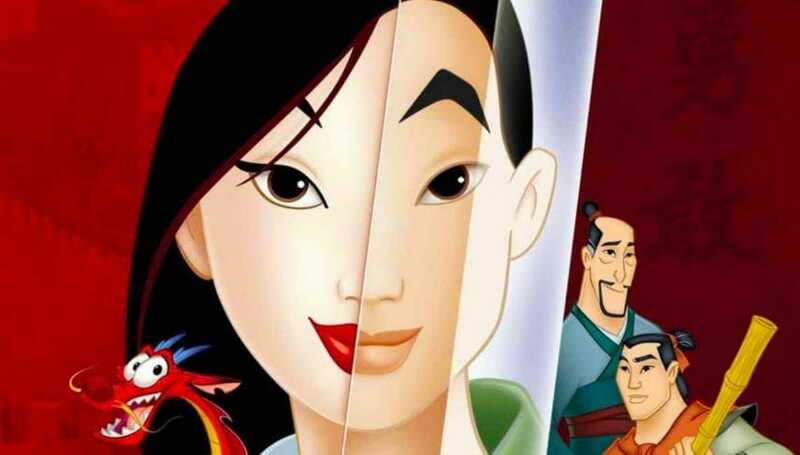 Mulan is a wonderful role model for young girls as she takes matters into her own hands and fights for her rights. She genuinely trusts in herself and teaches others to do so as well. Mulan 2 shows you how to be independent and how to stand up for yourself in spite of all of the difficulties that society continually tosses at you. Kung Fu Panda is a cute movie about Po, a clumsy panda who must defend his home. The film teaches you that regardless of your identity, you can be a hero if you just take the opportunities given to you and try your best. A standout amongst films that portray a tragic future, Wall-E tells the story of a waste management robot who meets another robot and goes on an adventure. In addition to being a warning about the future, Wall-E teaches us the value of connection and friendship. Up tells the story of an elderly balloon salesman who hopes to escape by tying hundreds of balloons to his home and flying away. But a young boy stows away inside of his house, and the two must learn to get along. Up teaches you that it’s never too late to follow your dreams as well as the importance of valuing other people. Despicable Me, a movie about a supervillain who plots to steal the moon, teaches you that you are never too old or set in your ways to have a change of heart, and that the greatest delights can come from the smallest moments. Girls have a hero in Rapunzel, the main character in Tangled, who goes off on an adventure in order to follow her dreams. This sweet movie teaches viewers that it’s okay to take risks and step outside of your comfort zone and that you should never give up. This film is another great animated film that can be inspiring for young girls. Brave teaches that you don’t need a prince to come sweep you off your feet in order to have a fulfilling life. It also tells viewers to stand up for what they believe in. Frozen was a huge hit when it was released in 2013. The film tells the story of Anna, who goes on an adventure to find her sister Elsa and break the spell that left their kingdom frozen. The story teaches us the importance of family and that you should never be afraid to be you, in addition to many other lessons. The Lego Movie, based on the favorite children’s toy, shows the importance of confidence, teamwork, and kindness, and reminds us all that nothing is perfect.